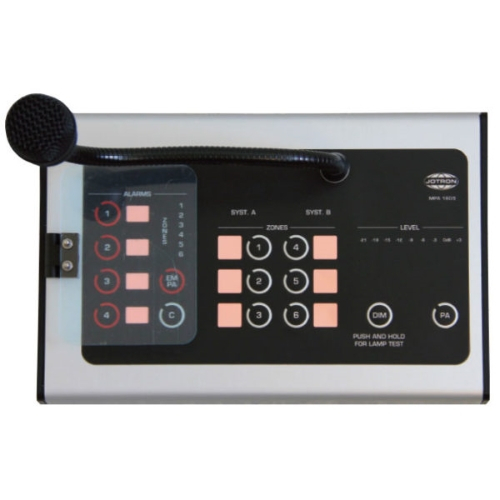 The 1605 MPA Access Unit Table Console has six zone selection switches, four alarm activation buttons, and emergency PA and normal PA activation buttons. In additio, there is a push button for dimmer function and audio level meter. MPA 1605 is prepared for A and B system. The 1605 MPA Access Unit Table Console is compliant with NORSOK standard.